Sexual dysfunction affects men of all ages and incidence rates are expected to double by 2025 resulting in a major health burden. Though normal sexual function is an important aspect of health and well-being, sadly, this common condition still carries an associated stigma. As a result, affected men are often reluctant to approach their doctor and, instead, may live for many years with sexual dysfunction, often to the detriment of their personal lives. 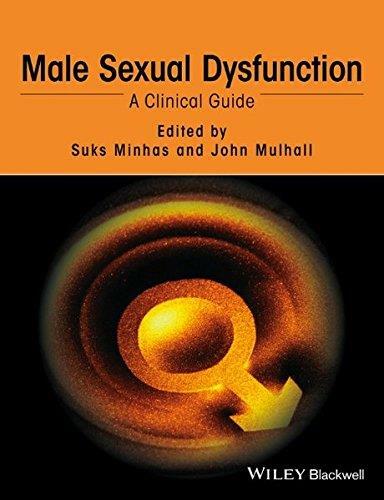 Male Sexual Dysfunction: A Clinical Guide covers all the common problems encountered by the clinician in this rapidly expanding and developing field. With full color throughout, this easy to read guide provides a comprehensive and systematic approach to patient management. Packed with key features, every chapter will contain flow diagrams and algorithms, key points, clinical pearls, ï¿½what to avoidï¿½ boxes, and numerous tables, graphs and photographs . This book provides: Comprehensive focus on the core clinical areas of physiology/pharmacology, investigation, diagnosis, management and surgical options Coverage of all treatment pathways, including psychological, pharmacologic and surgical A straightforward, logical approach to clinical management An experienced and international editor and contributor team Expertly-written, this book is the perfect resource for urologists and general practitioners with an interest in this highly topical area, as well as those about to undergo their urology trainee examinations.